The cloud directory service market is “crossing the chasm” of the Roger’s technology adoption bell curve. As more IT organizations learn of the merit of the cloud directory, a question hits the lips of their IT admins: Is there a next generation Microsoft® Active Directory® (AD) solution available on the market today? The traditional identity provider (IdP), AD, has dominated the market for decades, but with the shift of IT to the cloud, the on-prem directory has become outdated. So what would the next generation of Active Directory be? Microsoft would perhaps have you believe the next generation of AD is Azure® Active Directory®. Of course, it’s best to first understand why IT organizations would want to replace their AD instance with a next generation solution. Almost two decades ago, Microsoft introduced Active Directory to tie and bind all of their Windows®-focused resources together. IT admins would have one place to provision, deprovision, and modify user access to Windows-based systems, applications, and networks. The move was brilliant, and reinforced Microsoft’s dominance. New resources hit the scene, however, challenging AD’s lofty spot. As the IT landscape started to shift cloudward, Microsoft started to face pressure from AWS®, Google® G Suite™, Linux® and Apple® macOS®. The Active Directory approach started to breakdown in the face of cloud-based and non-Windows resources. IT admins were forced to build on top of their AD instances with identity bridges, web application single sign-on, privileged identity management, and more to connect users to non-Windows resources. With mounting pressure from these mega corporations, Microsoft hit back with Azure cloud services. Office moved to the cloud as Office 365™. Windows Server could now be hosted in the cloud. And, Active Directory would shift to Azure AD. Or would it? Unfortunately, Microsoft wasn’t willing to give up its dominant position with AD for a cloud directory service—even with its own cloud offering. Further, Microsoft still wasn’t interested in enabling non-Windows resources, such as macOS and Linux systems, trying their hardest to lock down market share. The challenge for IT admins became managing disparate IT resources across a hybrid infrastructure. For those organizations, the concept of a next generation Active Directory is appealing with some conditions. First, most IT organizations aren’t interested in being locked in to one vendor’s solutions for the next twenty years, so a directory service needs to be vendor-neutral. Second, a modern identity provider needs to be delivered from the cloud and able to support the cloud, on-prem and remote locations and users. Finally, any next generation AD type of solution needs to be cost-effective. 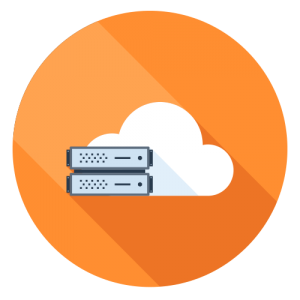 With these requirements, IT admins started searching for a cloud identity management platform, finding a cloud-based AD replacement called JumpCloud® Directory-as-a-Service®. This next generation solution reimagined the efficacy Active Directory brings to an organization, and can do so without regard to platform, provider, protocol, or location. A True Single Sign-On™ experience connects users to systems, applications, networks, servers, and more. 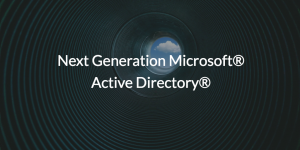 Explore the next generation of Microsoft Active Directory, and sign up for Directory-as-a-Service today. Not only is signing up free, but ten users in the platform are guaranteed free forever as well. You can learn more about JumpCloud from our Knowledge Base and YouTube channel, or by contacting us with questions.